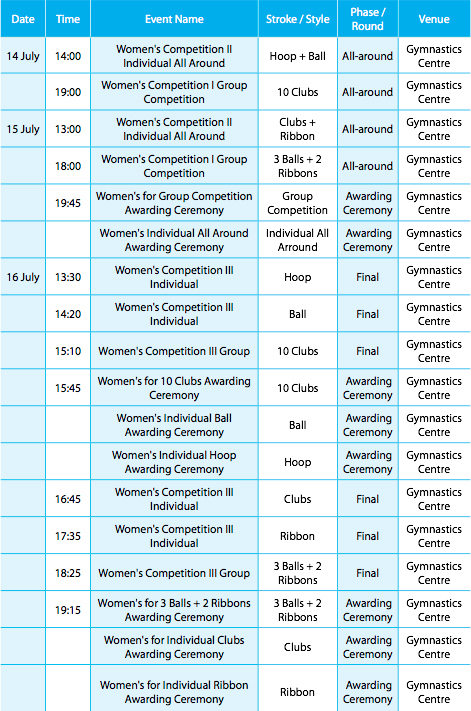 Now the Universiade 2013 in Kazan is in progress, RG competition will be held on 14-16 July. Please note, Universiade is a competition for university students, there is rule for the age of participants, “be at least 17 and less than 28 years of age on 1 January in the year of this event.” Btw, most likely Zhenya will be there, because she is vice president of RUS RG federation+ambassador of Universiade Kazan 2013. Asian Broadcasting Union – more than 40 national TV stations in Asia: Afghanistan, Australia, Azerbaijan, Bangladesh, Bhutan, Brunei, Cambodia, China, Egypt, Fiji, Hong Kong, India, Indonesia, Iran, Japan, Kiribati, Kyrgyzstan, Laos, Macau, Malaysia, Maldives, Micronesia, Mongolia, Myanmar, Nepal, New Zealand, Pakistan, Papua New Guinea, Philippines, Qatar, Samoa, Singapore, Solomon Islands, Sri Lanka, Thailand, Timor Leste, Tonga, Turkey, Turkmenistan, Uzbekistan, Vanuatu, Vietnam. This entry was posted in Event and tagged Universiade Kazan 2013. Bookmark the permalink. Congrats to Melitina and Alina!!! added photos gallery with slideshow! Melitina Staniouta ribbon AA Kazan 2013 16.483….